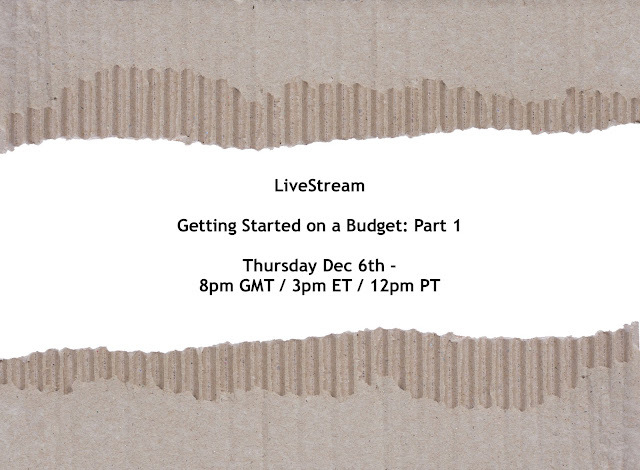 NEW Weekly Livestream: Getting into the Hobby on a budget! I wanted to announce a new weekly YouTube Livestream I will be doing over on my channel. The idea of the show is to go through getting into the Hobby from scratch with as tight a budget as possible. I will be looking at where you can cut corners and where you can't and I'll be painting a few models holding myself to the same restriction. As this will be a live stream - I'll be answering questions as I go which will hopefully help people with specific issues and capture elements I haven't considered.